At Action Garage Door, we know that when the door on your garage is not working properly, you want help as soon as possible. 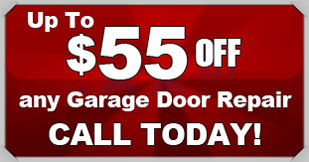 That is why we offer 24-hour emergency garage door repair services. We will help ensure that problems are quickly diagnosed and resolved so your space is protected from burglars, rodents and harsh weather in Hillcrest. There may be situations in which your door is damaged beyond repair, or you may simply want to upgrade to a new style. We offer a vast selection of commercial and residential doors and can help you determine which will best suit your needs. We are proud to use all name-brand products and provide each of our customers with a free in-home estimate in writing, which will be good for as long as 30 days. When your door won’t close or your opener won’t work, turn to our team at Action Garage Door for reliable garage door repair. To request a free quote for services or learn more about our company, please contact us.